Liver detoxification is the process of eliminating toxins and heavy metals from the tissues in and around the Liver organ. The Liver is a vital organ to our endocrine system because it helps to convert T4 to the active thyroid hormone T3. The Liver also functions to activate many vitamins and amino acids into their active form where they can be utilized by the enzymes or metabolic pathways where they are needed for the functioning and maintenance of our brain, kidneys, muscles, heart, and nervous system. When the Liver becomes saturated with toxins like Mercury, Aluminum, Copper, Dioxins, Alcohol, pain-killers like Tylenol and Vicodin, and Endocrine-Disrupting chemicals like BPA, Atrazine and phthalates, the 1000's of enzymes inside the liver organ stop working properly. These toxins will overwhelm the Liver's detoxification pathways, causing a decrease in bile production, thus leading to the "bio-accumulation" of many toxins and heavy metals. A natural liver cleansing protocol is essential to helping the liver to overcome these many toxic stressors which can get stuck in our body and in our soft tissues. Liver detoxification herbs are extremely useful in their effectiveness in helping the liver to release the many toxins and heavy metals that accumulate inside our bodies, each and every day. The way to get the most benefit from using liver detoxification herbs is to utilize the experience and expertise of a certified herbalist or acupuncturist who knows how to diagnose your overall health "pattern". With your complete health diagnosis based upon an expert health assessment procedure, such as lab testing, hair analysis, and TCM medical diagnosis, we can safely prescribe the correct liver cleansing herbs in combination with an overall natural liver cleansing program, which may include vitamins, minerals, amino acids, and glandular extracts. 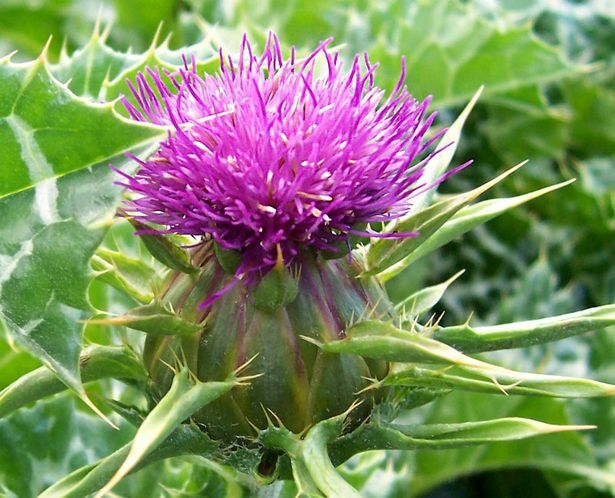 The truth is that there are many very helpful herbs to assisting the Liver detox process. The most important thing is that you are being prescribed a holistic and balanced herbal treatment. These symptoms are all signs that you are taking too many Liver cleansing herbs or supplements, and therefore you are "overwhelming" your liver's capacity to eliminate these toxins through the bile. Or the increased bile production is causing inflammation to your colon and small intestines. 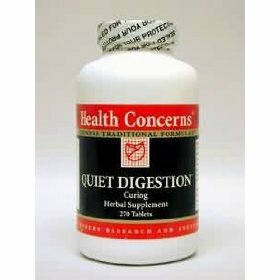 If you are experiencing any of these Digestive side effects of a Liver detoxification, I would strongly recommend an ancient Chinese herbal remedy called Quiet Digestion, by the brand Health Concerns. 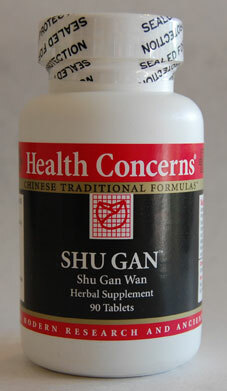 Other herbal formulas that I highly recommend for anyone suffering from Gastric distress, Migraines, and other symptoms of a Liver pathology are these two formulas: Shu Gan Wan, and Ecliptex. ~ Irritable Bowel Syndrome: loose stools, diarrhea, constipation, pain of the colon, intestinal cramping. 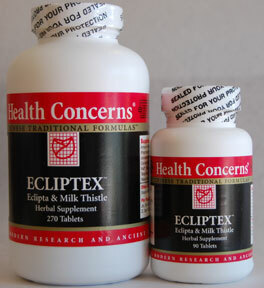 Ecliptex is a formula intended to regenerate Liver function and metabolic pathways after years of abuse from alcohol, pharmaceutical drugs, pesticide and insecticide exposure, toxic pollution, heavy metal toxicity, mercury fillings, vaccines, water contamination, air pollution, and trans-fatty acids found in fast food and processed foods.